It’s been a long while since social media served only as a place for companies to share their ideas and wait for “Likes”. Now it’s one of the most important channels for customers to ask questions and report complaints. Companies are present on several big social media sites like Facebook, Twitter, Google+ or LinkedIn. However only the first two are widely used for customer support. Since many people use those platforms every day to communicate, it’s only natural for them to seek support there. Buffer’s study showed that Twitter attracts the most customer support posts (59.3%). However companies in overall seem to rely more on Facebook for handling the support, replying to 59.4% of customers (only 40.6% on Twitter). There are many reasons why customers may seek fast help on social media. Plane delays and lost luggage are good examples of stressful situations that can enrage affected customer if they’re not resolved fast. Agents must keep track of these cases all the time. 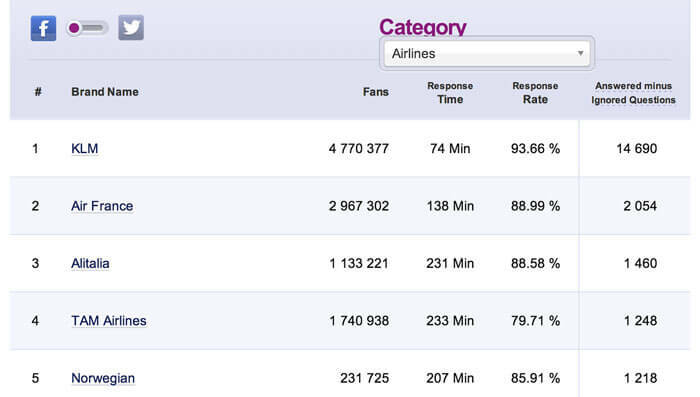 That’s why according to research carried by Social Bakers airlines are among the most active companies on social media. Social Bakers measures both response rates and time. According to the researchers, most clients expect answers within 60 minutes. If they don’t receive answers, they’re more likely to complain about the bad service on social media channels or change the provider. Last year’s mishap experienced by British Airways shows what happens when you don’t respond fast. The customer whose baggage got lost tried to complain about the case on BA’s Twitter profile. When he didn’t get any response, he decided to act. 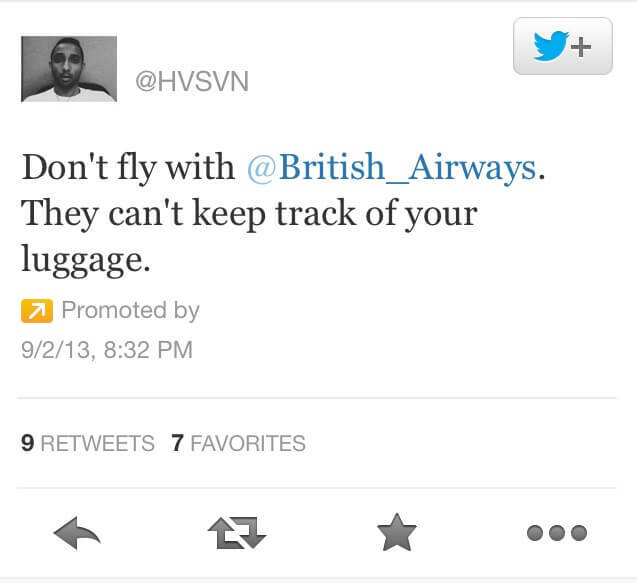 He bought a sponsored tweet in which he advised his fellow travelers against flying with BA. The company’s response probably didn’t make him feel any better. When after eight hours British Airways finally reacted they explained that the problem arose due to the fact that their Twitter support only works from 9 to 5. To avoid future problems the information about Twitter working hours is now visible on their profile. 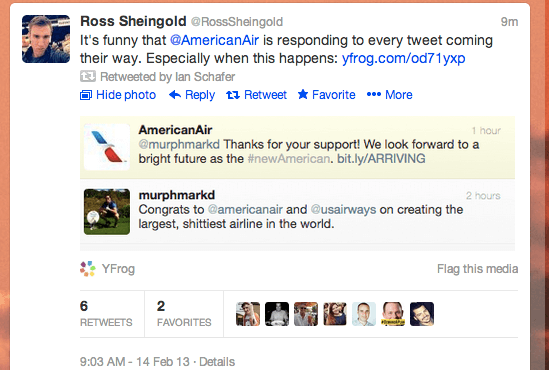 Most airlines cover customer support on social media 24/7. Some have gone even further. 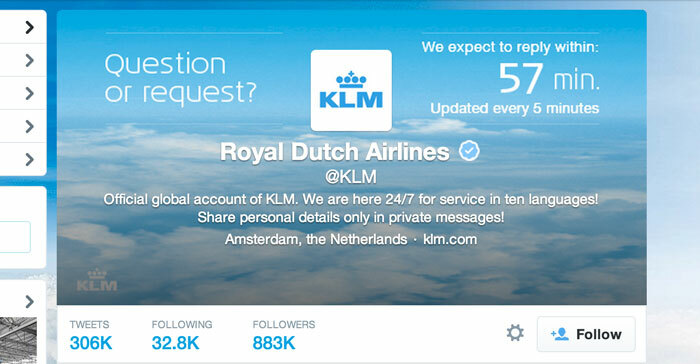 Last year KLM, which is deemed one of the best in the field of responsiveness introduced a live response time on their Twitter account. The background photo displays the estimated response time and changes every five minutes. It’s easy to get lost in your customer’s demands on social media. Posts and tweets can get missed or forgotten by the agents. If there are many customers active on a company’s social media pages it may be hard to keep track and properly organize the responses. However there are ways of managing them. Some of the giants like Nike or Microsoft open separate support channels on Twitter. That enables faster and more focused communication when it comes to bugs and complaints. They don’t have to sift through all the social media buzz around their products to track down the problems. There are tools created to help in managing social media accounts. Social media management software usually concentrates on analyzing traffic to maximize a company’s presence and content value. They also provide help with monitoring and responding to clients’ posts. One of such pieces of software is Tweetdeck, which is a tool devoted to Twitter users. It helps to manage multiple accounts and keep track of customer messages. There are also programs which allow to manage accounts from most popular social media platforms in one place (Hootsuite or Klout). If you want to focus solely on customer support you can use Conversocial, which helps to optimize customer service on social media. It’s also a common practice to integrate company’s Facebook and Twitter accounts with help desk software, like Freshdesk, Happyfox or UserEcho, which concentrate on customer service. They allow creating tickets from clients’ posts and tweets and keep all support matters from different channels in one place. American Airlines holds the first position in a ranking of most responsive airlines, but in this case their response quality suffered from the lack of concentration. You can also think about making it even more personal by jokes and attitude. @OctoberJones really sorry it wasn't up to scratch. We will replace Mr. Hogan with Ultimate Warrior on our production line immediately. Cover your social media customer support 24/7 – Social media never sleep so your business may be sleepless as well. You never know when the problem will arise. Respond fast – It would be perfect if the matters could be covered on the spot. Keeping response time under 60 minutes is important. Use customer service tools – If you’re looking for a help desk software, you can find lots of examples here. Social media management software examples are listed here. Avoid canned responses and create a friendly atmosphere – That’s much easier on Facebook where you’re not limited to 140 characters, but even in a tweet adding a customer’s name can provide personal touch. 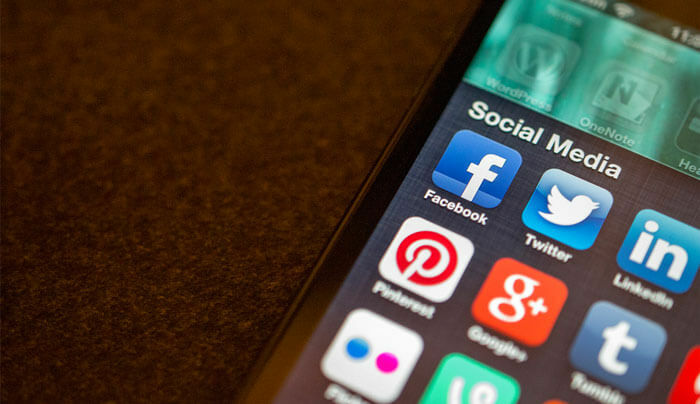 Can Social Media Help in Retaining Your Customers?